Rapper Logic was born in Gaithersburg, Maryland, and saw his career take off through uploads and mixtape releases. 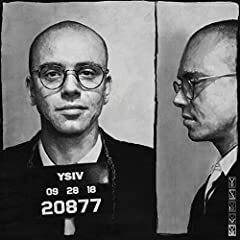 His first album, “Young, Broke and Infamous” dropped in 2010, with his breakthrough album “Young Sinatra” following in 2011 and “Undeniable” debuting in 2012. Logic then went on tour in Europe with a world tour starting in 2013. Logic debuted under the Def Jam label in 2014 with “Under Pressure”, which was a complete solo album with no guest artists. In 2015, the artist’s concept album “The Incredible True Story”, which was based on the concept of being 100 years in the future, was released. In this line, logic speaks on his diverse fan base. How it ranges from blacks to whites, Indians to asians and essentially any type of human being. This song makes me emotional because it makes me think of the things in the past I try to hold onto. "We're smart enough to know that no one gets out alive" represents the mortality of the body. Life is blessing, but the body is also a prison of sorts. That's why nobody gets out alive. And those who did should be remembered (remember the ghosts before you, drink to their souls tonight) honor their souls tonight. By holding on we can get hurt, but at the same time it is the only thing that keeps sane. (Hold on to someone close, friend.) By far one of my favorite songs I've heard in a while.